The Wits Chess Club is set to host their Blitz Chess Tournament on May 16, in a bid to launch a new sponsorship deal with Donate-A-Piece. The organization donated a new outdoor chess board and sponsored the Chess Warriors in their 2015 USSA campaign. Donate-A-Piece is a chess organisation aimed at encouraging participation in sport, donated a new outdoor chess board to the Wits Chess Club in April 2015, which is aimed at investing knowledge to chess players at Wits. “The aim of the event is to attract strong chess players from around Johannesburg to introduce them to the strong chess scene at Wits, potentially getting them more involved with the club, and promoting the club’s new relationship with Donate-A-Piece,” he said. The Donate-A-Piece Wits Blitz Chess tournament is a speed chess tournament with a R1200 prize. 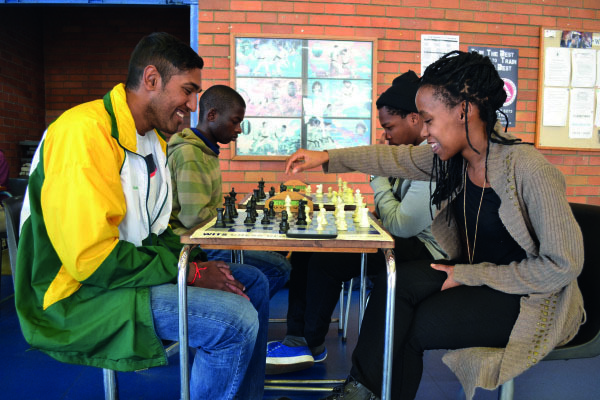 The chess community at Wits provides both formal and informal chess tournaments. “Every year, we send a team of our most talented men and women to represent Wits at the University Sports South Africa (USSA) National Institutional Chess Open,” he said. The club has featured in the top three university chess clubs in South Africa for the past six years. In 2014, for the first time in Wits history, two of the club’s members, third-year LLB student, Seadimo Tlale and third-year BEng student Evasan Chettiar, represented USSA at the World University Chess Championship held in Katowice, Poland, forming half of the South African team. This year, with more than 100 registered members, the club hosted several formal tournaments, encouraging members to stay active and preparing them for the USSA. “Students can expect to see some of the country’s highest rated chess playing students facing off in exciting games. Anyone interested in putting their skills to the test are more than welcome to enter this open tournament,’ said Chettiar. The tournament will take place at Bozzoli Sports Hall at the Bozzoli Sports Pavilion (East Campus) from 9am to 4pm on Saturday. A R100 entry fee will be applied to non-members and R80 if registered online, all proceeds will go towards the club. The tournament will be of a 9-round Swiss system format.